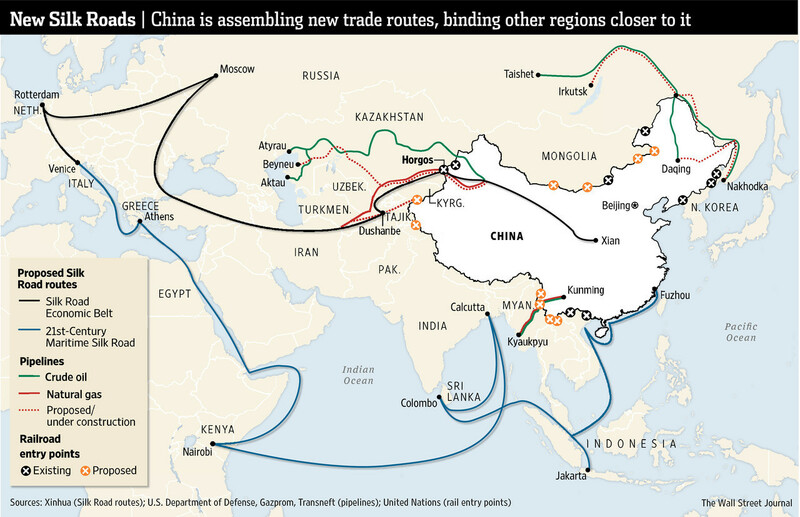 Scooper - Technology News: Why is China building a New Silk Road? China is reviving the historic Silk Road trade route that runs between its own borders and Europe. Announced in 2013 by President Xi Jinping, the idea is that two new trade corridors – one overland, the other by sea – will connect the country with its neighbours in the west: Central Asia, the Middle East and Europe. The project has proved expensive and controversial. So why is China doing it? There are strong commercial and geopolitical forces at play here, first among which is China’s vast industrial overcapacity – mainly in steel manufacturing and heavy equipment – for which the new trade route would serve as an outlet. As China’s domestic market slows down, opening new trade markets could go a long way towards keeping the national economy buoyant. Hoping to lift the value of cross-border trade to $2.5 trillion within a decade, President Xi Jinping has channelled nearly $1 trillion of government money into the project. He’s also encouraging state-owned enterprises and financial institutions to invest in infrastructure and construction abroad. Moreover, by striking up economic and cultural partnerships with other countries, China cements its status as a dominant player in world affairs. "We will support the One Belt, One Road project," said President of the Asian Infrastructure Investment Bank, Jin Liquin. "But before we spend shareholders' money, which is really the taxpayers' money, we have three requirements." The new trade route should be promote growth, be socially acceptable and be environmentally friendly. Have you read? Why Europe can't afford to ignore the New Silk Road What can the New Silk Road do for global trade?